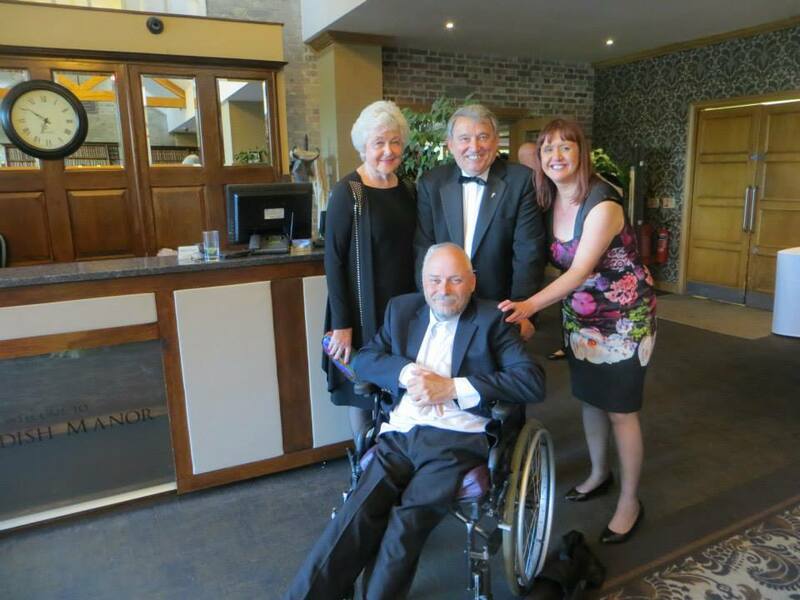 I have been lucky enough to attend all of the Tales from the Vicarage events and have loved every moment of them. As I do for away games, I have always bought the block of tickets for our party. So, when it was announced that there would be two events going on sale on the same day, I went into a blind panic. I had recently started working in an open plan office and knew from experience that buying tickets for this event was an operation that needed full concentration and I certainly wasn’t confident about getting decent seats for two events on the same day, so Richard was drafted in to get the tickets for tonight while I booked a conference room to secure the tickets for Johnny Barnes. Having heard that this event sold out in ten minutes, my working day only started in earnest when I received the message from Richard that our seats were secured. 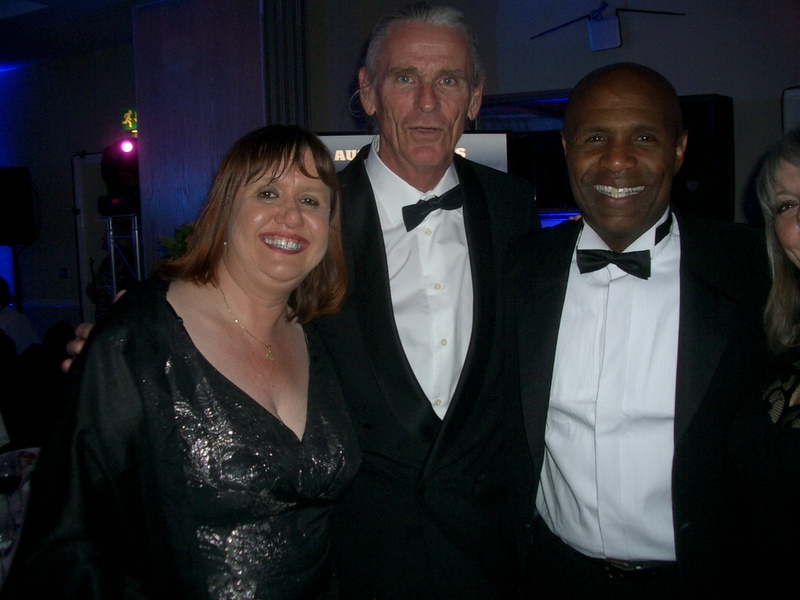 The John Barnes evening had been wonderful but, for those of us of a certain age, this was the main event. The Rocket Men. The players who had played their part in each division as we rose from Division 4 to runners up in the top flight. 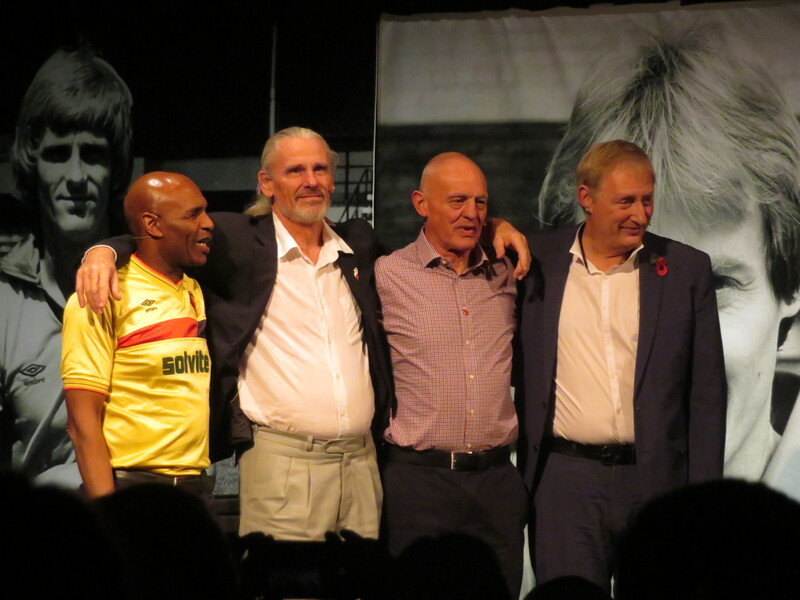 Luther Blissett, Ian Bolton, Ross Jenkins and Steve Sherwood. Names that still quicken my pulse as I remember the incredible heights that they achieved while giving us brilliant entertainment. As we were about to enter the auditorium to find our seats, I looked up to see Rita and Karen Taylor. I gasped, “It is so lovely to see you here.” I was rewarded with a smile and kiss from Rita. As we welcomed Karen she told us what comfort they had derived from the love they had been shown by Watford fans after Graham’s passing. 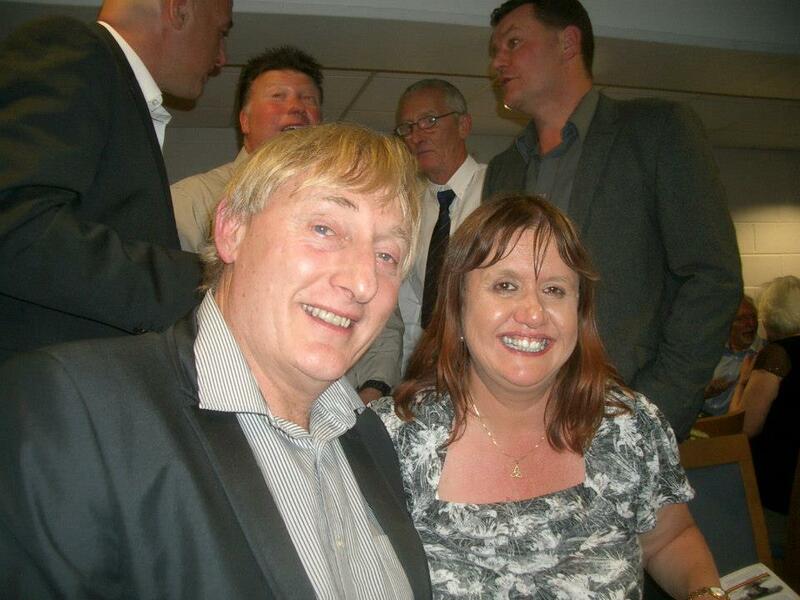 It is so wonderful to see Rita and her family as honoured guests at events such as this, but their presence was an early indication that, as much as being about the players, this was an evening about Graham Taylor. As always, Adam Leventhal started the evening with a “You ‘Orns” from each section of the theatre and then as a whole. He told the crowd that GT’s family were in attendance, so this would be a tribute to them. Those in attendance did Rita and family proud with a series of choruses of “You ‘Orns” the like of which have never been heard before. The legends were introduced by the voice of Hornet Heaven, Colin Mace, who filled us in with some background to their greatness. Luther is always good value and, since GT’s passing, he has been incredible in sharing memories and appreciation of the great man. He described his time at Watford as playing football with his mates. One of his stories was of being booked for dissent. He was fined a week’s wages and told that would double the next time. Much like not having cramp, you did not do dissent at this club under GT. Having been warned about his conduct, Luther was never booked for dissent again. Luther’s brace at Man United in 1978 was shown on the big screen. Those goals are always a joy to watch, but the added interest was the discussion about the preparation for the game. They were instructed to play their own game, making it hard for Man U and ensuring the win. Luther brought along a Solvite shirt that he could still fit in to and wore during the second half (although he revealed that the Iveco shirt was his favourite). He also brought his Golden Boot, which was presented to him in Italy. He still regrets that he wasn’t around for that 83/84 season, it must have been awful to be a spectator at the Cup Final. I was certainly gutted to see him walking around the pitch on the day rather than appearing on it. I will always remember the day that Ross Jenkins visited Watford after a long time away and was introduced on the pitch. He was given a tremendous reception and was genuinely surprised that the fans remembered him with such affection. As he looked in amazement at the adoring crowd, those of us giving the ovation were thinking, “Ross Jenkins, we are not worthy! !” His acceptance speech when he was inducted into the Hall of Fame reflected his feelings on that day. In all of his responses to questions on this evening, Ross was very circumspect. Oli Phillips said he had to spend a good few days in Spain getting his story. It has to be said that the photographs shown of their time together did not make it look like a chore. Luther had talked about bookings, so there was some discussion of Ross’s only ever booking. It is still viewed as a miscarriage of justice. Ross said that the achievements of those days have led to Watford being where they are now. He was not afraid to say that there must be a lot of fans in the audience who had not been impressed with him when he first came to the club. He hoped that he had proven his worth over the years. I heard no murmur of dissent at this point. His prized possession was his testimonial brochure that he had extracted from his parents’ loft. 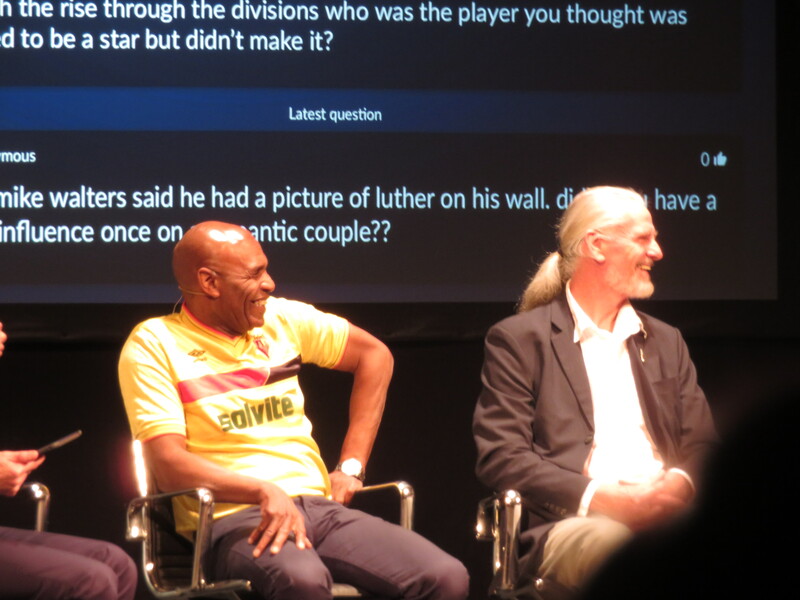 As Luther and Ross had spent time talking about how many goals they had scored, Ian Bolton chipped in to talk about his goal scoring exploits. Of course, his main contribution was his pinpoint passes that would have been lauded if he had played for a more fashionable club. Ian’s greatest goal was shown, a wonderful effort from a tight angle after an overlapping run out of defence. He revealed that he had been yelling at Cally not to pass to him as he was exhausted, but pass he did and that peach of a goal is there to be enjoyed by all of us. Ian said that there was not one of his team mates that he didn’t like. GT’s scrupulous approach to player recruitment was credited with ensuring that the team were not only good players, but good characters and that ensured the team spirit. 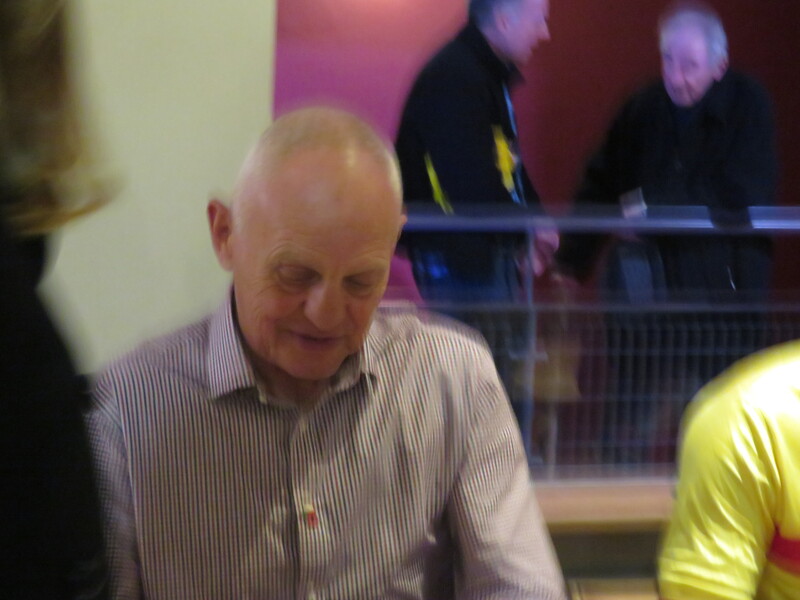 Steve Sherwood was the quietest of the four, but I don’t think that he stopped smiling the whole evening. He clearly loved his time at Watford and adored the players that he worked with. He said it had been a wonderful time and that he missed it. As the others were talking about their goals, he wasn’t to be outdone and his goal at Highfield Road was analysed. I still regret the fact that I had a ticket for that game but wimped out of traveling on my own, so missed that historic moment. After every observation that Steve made I thought, “What a Gentleman!” No more so than when he was asked about Andy Gray’s assault at Wembley. “He was just doing his job.” Steve was very disappointed that GT didn’t play him in the FA Cup semi-final in 1987, he said that he was fit to play and that was possibly GT’s only mistake. Elton’s great involvement in the club was discussed and this led to the players singing backing vocals on a couple of songs on his “A Single Man” album. They were taken for a day out, having no idea where they were going, and ended up at a recording studio. Apparently, Andy Rankin was the only player who could sing, but they did a decent job as a chorus. They showed some footage from an Australian music show. I could have sworn that the footage shown on the Big Match was recorded in the studio, but I have just watched the show online and it was the same footage. It has to be said that there was an audible gasp of adoration from the crowd when Pat Molloy appeared on the screen. Ian Bolton’s treasured possession was a Gold Disc for this album. This had been presented to all of the players involved and is displayed in pride of place in Bolton’s home. This achievement was slightly tarnished when he visited Elton’s home and saw platinum discs propped up in corners. 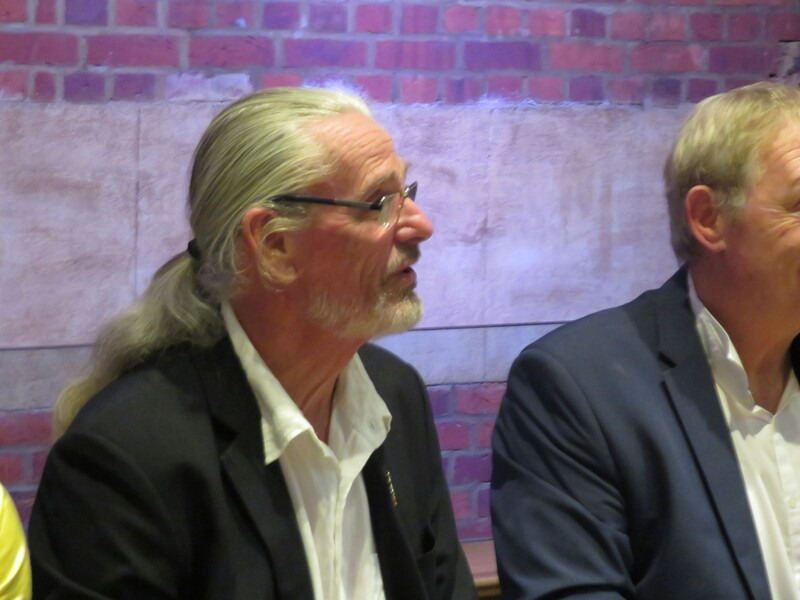 The questions from the audience provoked some interesting anecdotes. Elton’s famous parties were mentioned. The players made clear that they only ever went to the Watford staff party. This was an event for the staff and their families. It was gratifying to hear that everyone working at the club was invited to this party, including the tea ladies. There was a lovely story about Albert McClenaghan (he of the infamous throw-in) losing sight of the car that he was following so just stopping on a roundabout to have a picnic with his family. They were eventually rescued and taken to Elton’s. Ross described the parties as “Being in first class when you weren’t used to first class.” The catering was such that when the food ran out, it would be replenished and the footballers, not used to such a world, didn’t know how to deal with this. They said it was a wild time with people ending up upside down in hedges. The day after the party was always left free! Another question that provoked some discussion was the best story about Steve Harrison. There was much muttering and shaking of heads. Steve Sherwood started a story about a trip to Jamaica and the others interjected to ask if he was sure. It ended up being a story of Harrison appearing on the baggage carousel, funny and just perfect for the evening. Then they got started on modern football. There were a number of comments on negative tactics from high profile teams that were anathema to men coached by GT to entertain. Also, zonal marking was described as an excuse to abdicate responsibility. The consensus was that football was better before the invention of the Premier League. The theme of the evening was togetherness and teamwork. These players succeeded as they were all working for each other and loved being together and Graham Taylor was the inspiration behind this. They also paid tribute to the fans and all of those in attendance were made to feel that we were a key part of that successful team. As they took their applause to a standing ovation, there was a group hug that left barely a dry eye in the house. Ross Jenkins clearly didn’t want to leave the stage, so the rest of the Rocket Men were called back for a further curtain call. If you could have bottled the love in that room it would have the sweetest perfume you have ever smelled. At the end of the evening we belted upstairs to get our books signed. What was rather lovely was that two members of our party were getting their books dedicated to some younger fans of their acquaintance. They may not have lived through those wonderful days, but their elders wanted to ensure that they knew the history and why Watford are where they are now. Our party were desperately missing Toddy, who would have loved this evening. Farzana had brought some of Toddy’s memorial badges along to hand out to friends that had not been able to attend his funeral. As Luther had tweeted about Toddy, he was also given a badge and the emotion on his face when he received it brought tears to my eyes yet again. I have said it before and I will say it again and again. I love being a Watford fan. This entry was posted in Watford FC and tagged Adam Leventhal, Ian Bolton, Luther Blissett, Rocket Men, Ross Jenkins, Steve Sherwood, Tales from the Vicarage, Watford FC on November 15, 2017 by franelynn.